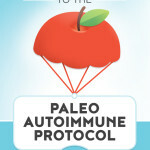 On January 1, 2016, I published the book I've been wanting to write since starting the AIP 3 years ago: A Simple Guide to the Paleo Autoimmune Protocol. It's small enough to fit in your purse or backpack, simple enough that even someone with brain fog can understand, and written like a conversation between friends. The AIP has been transformative to my health, and I wanted to create a pocket guide that taught people the protocol as easily as possible. My guests on today's podcast have also used the AIP to manage their own autoimmune health. 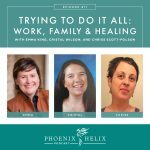 Today, we share our healing stories, what worked and what didn't, and what parts of the book resonate the most with our experiences. Chelsey Luther was the graphic designer for my book, so she gets credit for the beautiful cover and interior. She uses the AIP to manage Crohn's disease. Her first symptoms were joint pain in high school and college, but she didn't know the cause. At age 23, she hit rock bottom, experiencing severe digestive pain, difficulty swallowing, bloody stool, exhaustion, dry eyes, migraines, auras, insomnia, nightmares, bodywide joint pain, muscle cramps, hair loss, cystic acne, and severe weight loss. It even hurt to breathe. She thought she was dying, while at the same time she was hoping the symptoms would simply go away. She finally went to the doctor and was diagnosed with Crohn's disease within a month. She went on biologic medication which helped but she knew it wouldn't be enough, so she started the SCD diet at the same time and eventually found the AIP. Now 3 years later, she's taking low-dose naltrexone, and that combined with diet has led to dramatic improvements. While she still has some digestive issues, they're mild compared to where she started. She no longer has pain, she's regained weight, and her fatigue and other symptoms have mostly dissipated. Erin is the blogger behind Real Food & Love (previously Enjoying this Journey) and she uses the AIP to manage psoriasis, psoriatic arthritis and Raynaud's disease. She started having psoriasis symptoms at age 5 but didn't get diagnosed until age 12. By the time she was a teenager, it had spread over her entire scalp, torso and legs. Sunbathing actually healed the psoriasis everywhere but her scalp. Then, when she was in her 30's she was diagnosed with psoriatic arthritis and Raynaud's. Her arthritis and Raynaud's symptoms appeared together as pain in her feet and severely cold toes where they actually turned purple. She's been able to manage the arthritis and Raynaud's 100% through diet (symptom-free). While she still has a small amount of psoriasis on her scalp, she's had no new patches since starting the AIP. Tara Perillo is the blogger behind Paleo Cajun Lady, and she uses the AIP to manage lupus, psoriasis and vitiligo. At her worst, she had a stomach ulcer, hiatal hernia, severe joint pain, digestive inflammation, skin rashes and hair loss. She ended up in the hospital, urgent care and her doctor's office 4 times in one week. She was eventually diagnosed with lupus. She declined medication and tried healing through diet. She started with regular paleo which helped, but it wasn't until she started the AIP that she saw dramatic improvements. Her ulcer healed, her digestion improved, and after 2 years on the AIP, her lupus and psoriasis are both in remission. Eileen Laird is the host of the podcast and has improved her rheumatoid arthritis symptoms by 95% through the AIP diet and lifestyle. For anyone who hasn't heard my story, I share it in Episode 1. To celebrate the book launch, I'm hosting a giveaway. You can enter any time through January 9, 2016. One USA winner will receive a paperback copy of the book, along with my favorite kitchen too: The Instant Pot! One International winner will receive a PDF copy of the book, along with a 3-month subscription to Real Plans meal planning service, with AIP recipes. Click here, and follow the instructions in the Rafflecopter box at the bottom of the post, to enter. Also, the first 50 people to email me the receipt of their book purchase will receive a free copy of my ebook: Reintroducing Foods on the Paleo Autoimmune Protocol. And everyone who sends me their receipt is eligible for some printable PDFs from the book: an AIP Grocery List, the AIP Food Pyramid, and the AIP Foods to Avoid. Send your receipt through my contact form. Their AIP sauces are currently on sale: Dairy-free Creamy Alfredo and Nightshade-free Nomato (Marinara). Tara's 1st Pick: Overcoming Self-Sabotage. So many times we are our own worst enemies, and this chapter offers so much help to overcome that impulse. This was actually a favorite chapter of all 3 of my guests. Erin's 1st Pick: What Are Circadian Rhythms? Erin has 2 small children, and she's learned she needs to really guard her sleep for her wellbeing. It's her biggest challenge, and also has the biggest effect on her autoimmune symptoms. Chelsey's 1st Pick: Your Body Is Not Your Enemy. Changing her relationship to her disease has made the biggest difference for Chelsey. 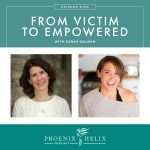 Now she considers that every choice she makes can be a gift to her health or a detriment, and symptoms are simply her body's way of communicating what it needs. Tara's 2nd Pick: Foods to Avoid and Why. Tara gets these questions a lot from blog readers, and this chapter is written in a way that provides the answers simply and clearly, so people can understand how the protocol works. It also lets people know that the elimination phase isn't forever. Reintroductions follow once healing has begun, and Tara loves that reminder. She's had a number of successful reintroductions herself. Erin and Chelsey's 2nd Pick: Stress Reduction. While every part of the AIP has helped, stress reduction has been essential to both of their lives. Chelsey started a mindfulness meditation practice and experienced a deep peace she never knew was possible. She also became aware of negative thought patterns she didn't realize she was having. Erin takes one week offline every month, and that's been powerfully healing for her. Disconnecting from the internet makes her feel more connected to her life. Even one day makes a difference. Tara's Final Pick: Reintroducing Foods. Tara rushed her reintroductions the first time around and ended up setting back her healing. Later, when she did the process correctly, she got a lot of foods back while still maintaining remission. Erin's Final Pick: Top 5 Mistakes People Make. Erin herself made a lot of these, particularly missing the importance of nutrient density – that it's not just about the foods we avoid, but also the foods we need to eat to heal, like organ meats. Erin's favorite way to prepare beef liver now is Beef Liver Pate with Balsamic Caramelized Onions. For other ways to cook organ meats, check out this recipe roundup. Chelsey's Final Pick: Getting Support. 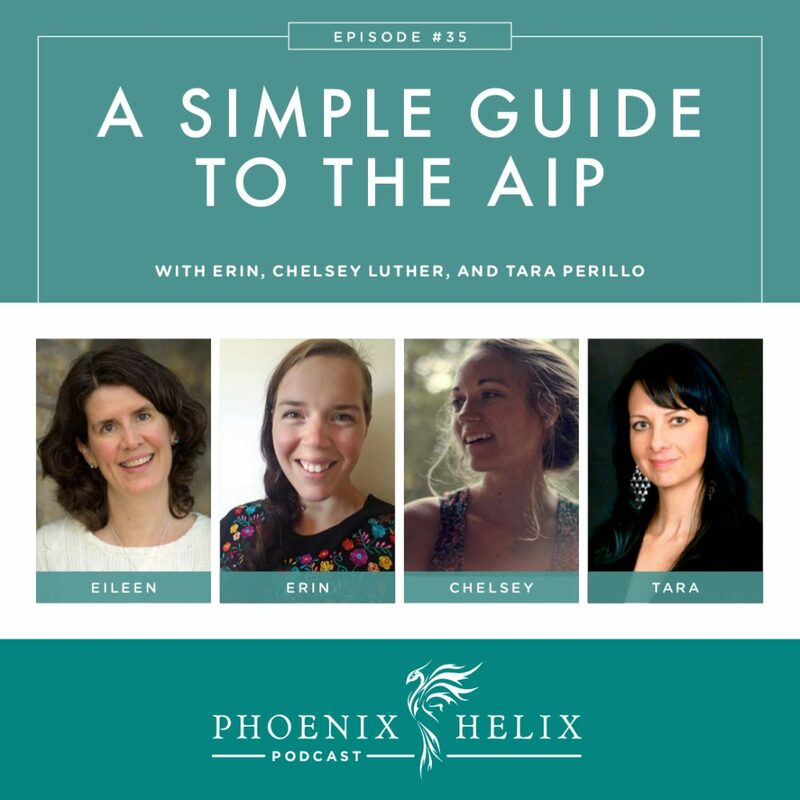 Chelsey found the AIP very isolating when she started, and she wished she had joined some of the online communities, so she would feel less alone. Also, now that she has started cooking for her non-paleo friends and showing them how delicious the food can be, some of them have even started eating paleo for their own health. Tara: Be patient with yourself and your healing. Give yourself time. Don't rush reintroductions. And definitely get support. Erin: It can be overwhelming to make such a big change. The good news is that it's totally worth it. Think of your worst day now, and your best possible day in the future – that's what you can have. Chelsey: Don't be a perfectionist. Just do your best and be compassionate with yourself. This would be so exciting to win, and it would introduce my podcast to a whole new group of people! 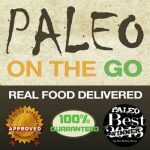 You can nominate me any time through 1/10/16: Paleo Magazine's Best of 2015.